MTN Project Fame Season 8 winner, Jeff Akoh has debunks reports that he is dating Big Brother Naija star, Bisola Aiyeola. Bisola had tweeted that the pair are in a relationship, a stunt she later said she pulled to promote Akoh’s album. 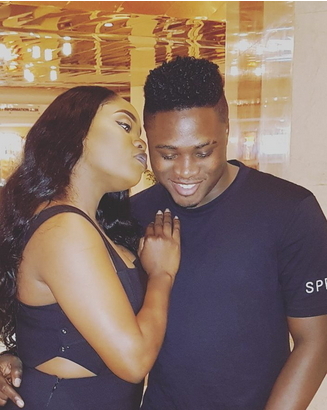 In an interview with Punch, the 21-year-old said he is too young for Busola who is 31 years old. He added that his girlfriend was carried along, explaining that she didn’t panic when she read the story.